ohh la la! Very fancy. Chris, I can't believe you agree to photo shoots like that! 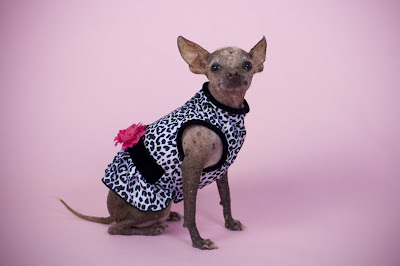 I watched the ugliest dog contest on TV a few weeks ago. Itzy could totally win it. Haha, I'm not even kidding. Itzy has a farmer tan.